I have been involved in the kitchen industry for 10 years, predominantly in the designing and installation of interior kitchens and cabinetry. 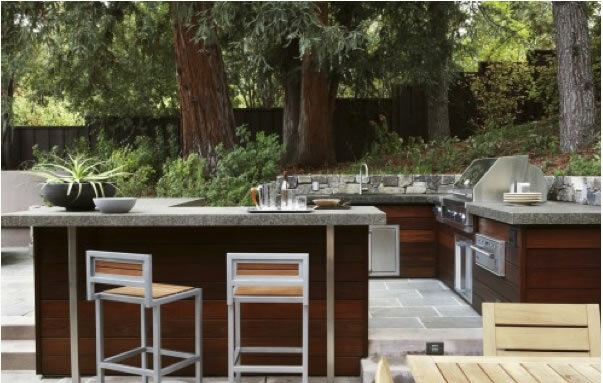 During this time I noticed a change in attittudes to the outdoor BBQ area, with more importance being placed on having a functional outdoor kitchen area. Drawing from my experience in the interior kitchen industry I am able to use these skills to design and produce a fully customised, high quality outdoor alfresco area with constant consultation with our clients. Established in 2007 Melbourne Outdoor Kitchens has been providing it’s clients with high quality, professional service and cost effective outdoor kitchens ever since. Whether it be a free-standing unit or a fully built-in alfresco area, Melbourne Outdoor Kitchens can provide a full service from concept through to construction completion. Our goal is to provide all our clients with high quality appliances, joinery and finishes while providing a simple hassle free process which leaves you with a beautiful outdoor kitchen to enjoy for years to come.